An entrepreneur and founder of Statuspro 360, Sidra Iqbal is an internationally acclaimed young celebrity public speaker of Pakistan and has been a passionate debater since her school days. During her student life, Sidra represented the Pakistani youth as a Youth Ambassador and a Change Activist at a variety of power-packed forums in Australia, Cyprus, Japan, Hong Kong, Turkey, Switzerland, UAE, UK and US. In 1999, Sidra Iqbal became the first and the only Pakistani to win the prestigious English Speaking Union's International Public Speaking Championship in London, UK. She emerged a winner among 58 participants from 28 different countries, an accomplishment for which, she was feted at the Buckingham Palace and awarded the winner's certificate by HRH Prince Philip the Duke of Edinburgh. This achievement propelled her personal and professional growth. What followed was a globe-trotting episode of eloquently representing the Pakistani youth at a number of highly esteemed and power packed conventions and forums. 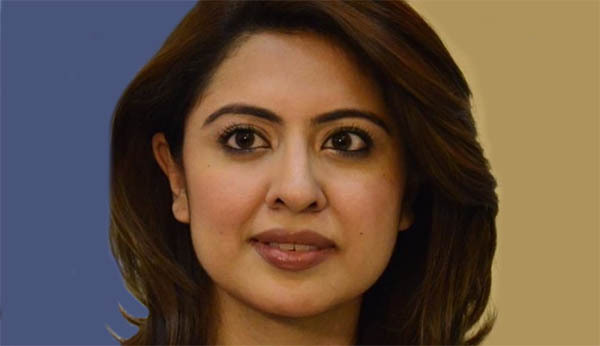 Since 2006, Sidra is a prominent television broadcaster in Pakistan since and has a number of signature shows, productions and momentous coverage to her credit. Her shows have featured a number of VIP guests from Heads of States, Policy makers, corporate heads and celebrated popular icons. Sidra especially enjoys a country-wide strong youth fan-base, who keenly follows her comment and advice on youth issues and self-empowerment. Sidra was awarded a full scholarship by the ESU Commonwealth to a Summer International Relations Program at Oxford University, UK in 2006. Sidra was part of the special international youth committee envisioned by Prime Minister Gordon Brown at UK and presented the 'Young People's Proposal for a Better World' at the World Economic Forum, Davos, Switzerland. She regularly speaks at youth conventions, colleges and universities across Pakistan. In Early 2007, Sidra started her career in the Public Relations Industry as the Vice President, Oglivy & Mather, Pakistan. She played a key role in coordinating with Ogilvy PR, New York in 2007-2008 as it was appointed by the Government of Pakistan to manage Pakistan’s image in the international press. She also served her assignments at Singapore and Hong Kong offices of Ogilvy PR. In July 2011, Sidra became the First Pakistani to be invited as a Judge to the international pavilion, the English Speaking Union's International Public Speaking Championship 2011, with co-judges like Lucy Hockings (Presenter, BBC World). She was a part of Pakistan’s delegation to the esteemed marketing professional’s forum ‘AdAsia 2011’ in Delhi, India. In July 2012, Sidra became the first Pakistani anchor person to host the official digital platforms of the International Indian Film Awards 2012 (IIFA), the mega Bollywood extravaganza of immense global popularity in Singapore, a project that expanded Sidra’s fan base across borders.